Found in the London Borough of Waltham Forest, Walthamstow is a town in North East London. It has a population of around 110,000, and a very strong property market thanks to its close proximity to the English capital. At My Home Move Conveyancing we’ve been developing our expertise in markets like Walthamstow’s since 2001, allowing us to bring a specialist, fixed fee conveyancing service to our clients in the area. When buying or selling property in Walthamstow, you need to instruct property lawyers to complete the legal work on your behalf. 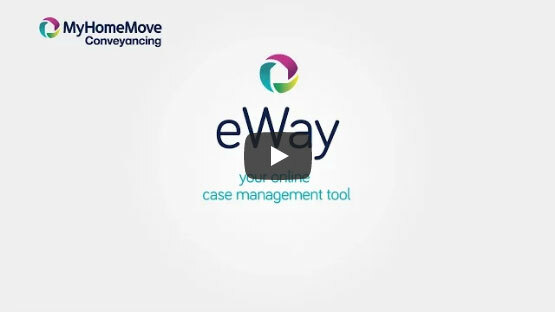 My Home Move Conveyancing offers our clients in Walthamstow an award winning level of customer service, advanced use of technology and intimate knowledge of the local market. There are no hidden costs with our passionate, friendly conveyancing service, which helps us to build up trust with our valued clients. Choose us as your Walthamstow conveyancers, and if you don’t end up completing for some reason, you won’t have to pay us a thing thanks to our ‘no completion – no fee’ policy. We’ll assign you a dedicated conveyancer who’ll take care of all aspects of your case from start to finish. You’ll have a consistent point of contact who’s prepared go the extra mile for you, as well as regular progress updates and online access to your account 24 hours a day. At My Home Move Conveyancing we’re proud to provide our conveyancing services in Walthamstow to help in the purchase of a variety of homes across the area, whether you want to be near one of the local rail stations, close to the North Circular Road or Epping Forest, or in a neighbourhood like Higham Hill and Hale End. The average house price in Waltham Forest is £453,292, while the overall average sale price in Walthamstow during the last year was £458,593. Terraced properties were involved in the most sales during this period, going for an average of £551,523. Flats went for £342,353 with semi-detached houses fetching £620,830. Recorded as Wilcumestou in the Domesday Book of 1086, Walthamstow grew from its origins as a collection of five small villages to be a decent sized suburb of London by the end of the 19th century. The arrival of the railways helped with this, and the town continued to expand as the English capital developed at a great pace. Features of the town include Europe’s longest daily outdoor market and a range of independent shops selling foods from a variety of countries, while Epping Forest lies on the eastern edge of Walthamstow. The transport links to central areas of London make property very much in demand in the area, with Walthamstow having its own Tube station which is the northern terminus of the Victoria Line. There are a number of overground train stations in the area too, including Walthamstow Queens Road, Wood Street and St James Street, with services from the latter taking just over 15 minutes to reach London Liverpool Street. The M11 motorway begins just to the east of Walthamstow, heading north towards the M25 and on to Cambridge. There’s a wide range of schools in the local area for families with children to take into account, including Mission Grove Primary, Henry Maynard Primary and Edinburgh Primary. Frederick Bremner School, Holy Family Catholic School and Walthamstow Academy are among the options at secondary level, while places like Waltham Forest College and Sir George Monoux College provide further education. For higher education, you’re in the perfect place to take advantage of London’s excellent array of universities. All properties in Walthamstow will fall within one of the following council tax bands.